PVC Pulverizer is mainly used for plastic chemical industry, has the characteristics of high yield, fine granularity, machinable grinding PVC, polyethylene, polystyrene PS, PVC, ABS and EVA, soft PVC, and other materials. In plastic reprocessing after the types of plastic separated is a mechanical processing to run the plastic through the pulverizer. Pulverizer or pulveriser crushes the plastic into tiny shreds or granules. Plastic pulverizer is the particular equipment for recycling disused insignificant materials in producing and grinding heat-sensitivity plastic such as PVC. Pulverizer includes high output units which can be equipped with automatic temperature control. 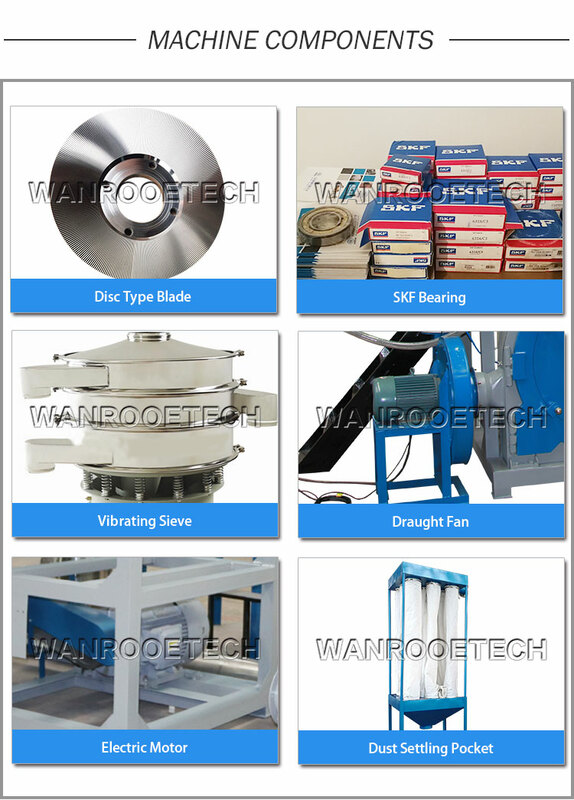 The material to be pulverized is fed centrally between a fixed and a high speed rotating pulveriser disc with centrifugal effect carrying the material through the processing zone before being discharged from the machine pneumatically. This pulveriser is mainly used for lldpe , hdpe, rpvc material.